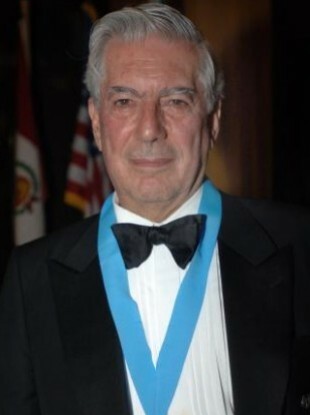 Mario Vargas Llosa has been an important figure in world literature since the 1960s – and will speak to students and some lucky members of the public at Spanish institute in Dublin. THE NOBEL PRIZE laureate for literature for 2010 is to give a special talk in Dublin on 11 June. Mario Vargas Llosa will speak about his novel, The Dream of the Celt, which is based on the life of nationalist hero Roger Casement, at the Dublin Instituto Cervantes at an event launched by Education Minister Ruairi Quinn. It is by invitation only, sadly. Vargas Llosa is in Ireland to appear at the Dublin Writers’ Festival – the previous day, he will be in conversation at a ticketed event in the Gate Theatre at 3pm. The Peruvian author has been a significant figure in literature since the 1960s when novels such as The Green House and Conversation in the Cathedral heralded his talent. He ran for the Peruvian presidency in 1990 but has lived for the most part in Spain since the 1990s. His novel, The Dream of the Celt (El sueño del celta), has recently been translated into English. It takes its inspiration from the colourful and controversial life of Dublin-born Casement who was executed for treason against the UK in 1916. While his involvement with Irish republicanism led to his execution, Casement had been a valued chronicler of abuses and exploitation of native populations in the Congo and in Peru, reporting them to the British foreign ministry. Email “Nobel Prize winning writer to speak at free event in Dublin”. Feedback on “Nobel Prize winning writer to speak at free event in Dublin”.